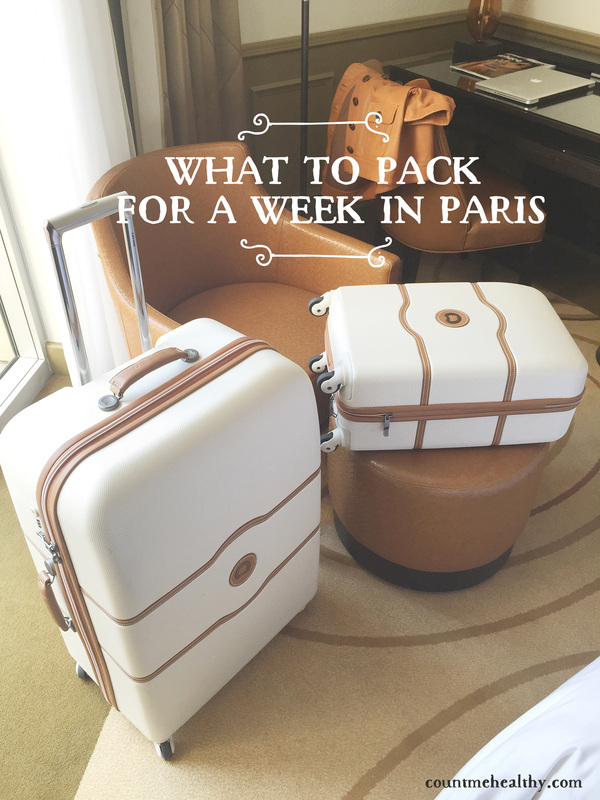 I recently returned from a trip to Paris and wanted to share some packing suggestions with you. It’s really difficult not to try to just transfer your entire closet into a 28″ case, especially if it’s your first time to any new destination. Although I have been to Paris multiple times this is still a problem for me! There is that fear of the unknown; of not being prepared for every situation. So I thought I would create a packing chic list for you of basics to make sure you include. If you forget something don’t sweat it! Keep in mind that Paris is a shopper’s paradise and you can probably purchase (that’s part of the fun). Each person’s trip to Paris (or any metropolitan European city) is unique based on four factors: length of stay, place of stay, reason for going and season. This particular list below is for women going to Paris in the Spring/Summer for 7-10 days, staying at a centrally located hotel and looking to explore. 2 light knit pullovers or sweater jackets: These are to stay warm on the plane and to stash in your bag while site-seeing. One of my favorite experiences was having dinner while sitting along the Seine and it gets chilly at night even in the summer. 1 midi skirt: Always appropriate, these go with sandals, flats and heels. 1 silk scarf: Very Parisian, your scarves will make you feel a bit more like a native and add pop to a neutral outfit. 1 boho hat: It is never wrong to channel Jane Birkin! 1 cross-body bag: A cross-body style will help prevent pickpocketing. When wearing make sure the zipper is toward you. 1 pair of tennis shoes: You will not see a french woman wearing Nike or Reebok running shoes, especially neon colored, unless they are physically running for exercise. This is a red flag you are a tourist. Get a cool pair of non-emblem tennis shoes from Zara or J. Crew. Make sure you wear them for at least 2 weeks so they are broken in and don’t give you blisters. If you are going to workout in the morning before exploring then by-all-means pack the neon Nikes. 1 pair of stylish flats: You may explore the city all day and then want to go to a nice restaurant or club later. If you do not have a chance to head back to your hotel make sure you stash a pair of pretty flats in your tote to change into. Many of the nicer places in Paris will not allow tennis shoes. 1 pair of sophisticated heels: Parisian women don’t tend to wear a 5 inch heel. Instead they opt for a ladylike, stacked heel. 1 pair of sandals: Again, ladylike and comfortable. toiletries and makeup: toothbrush, facial soap, lotion, deodorant, etc. small packs of tissue: There are not a lot of public bathrooms in Paris. Restaurants will let you use their restrooms but they aren’t always stocked with toilet paper so it’s better to have your own just in case. change purse: Change is used more often in Paris than the US so have a little place for all of it. French adapter plug: I only used an adapter (not a converter) while there and this was for my laptop and iphone. facial spray: Evian or rosewater to hydrate on the plane. Paris guide book: Even though you can now access anything on your phone, often you will not be able to get wifi unless you are at your hotel so hard copies are still recommended. This Delsey Chatalet 21″ carry-on makes traveling a joy. I am obsessed with this bag. 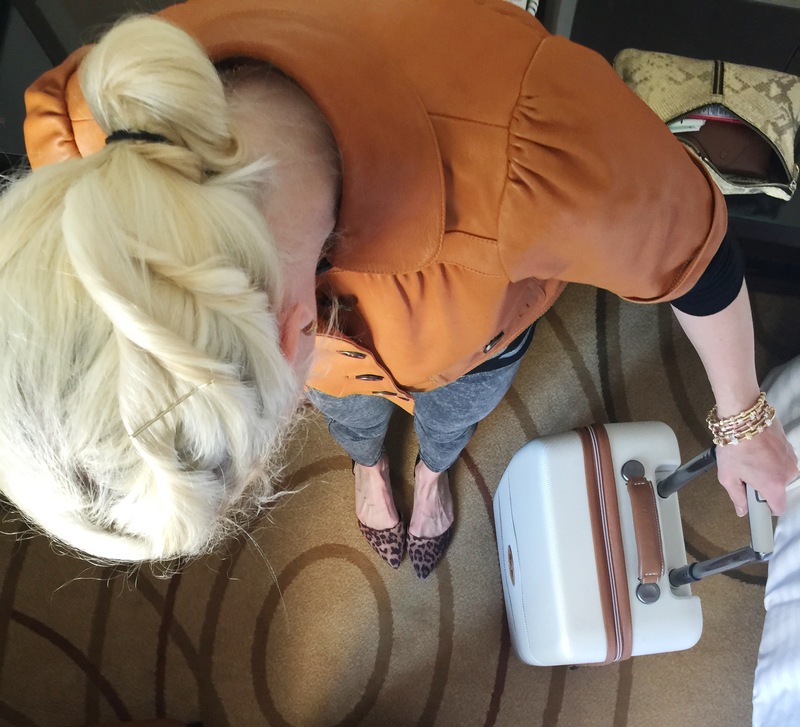 When packing, put all of your valuable items in your carry-on. Duh! you say. But I don’t just mean your jewelry and coat. This also includes any high-end labels, leather or cashmere items or anything that might not be monetarily expensive but is of high sentimental value to you personally. You also want to make sure you have at least two days worth of outfits, your phone and laptop chargers, makeup, pills and toiletries in your carry-on. Basically anything you feel will be difficult to replace if the airline loses your luggage and/or you feel you won’t be able to function without you should pack with you. I would like to see outfits made from this chic list, or at least links to examples. Also, do you have a recommendation for a restaurant along the Seine? We are going to be in Amsterdam, Brugge, Normandy countryside, Paris, Beaches of Normandy and Mont St. Michel, so my list will look a little different. I’m more classic, preppy, feminine. Not so much edgy. What do you think? Thanks for the recommendations of the riverside picnic. Sounds perfect. Anything on my list I should skip? Thanks for the great packing list!! I’m in love with your suitcases! I know you mentioned the carry on is 21″, but what is the size of your larger bag? I need to purchase large bag to check and want to buy that exact gorgeous suitcase!! Thanks Chelsea! …or just be comfortable and bring a few interchangeable basics and comfortable shoes that are good for both walking and casual dinners….I love Paris and never feel obligated to bring blazers, heels, “facial sprays”, or hand sanitizer, the latter which dry the hands and contain toxic chemicals. Aimee, didn’t your mother tell you if you can’t add anything of value to the conversation, you should be quiet? Thank you so much for this post. My best friend and I are traveling to Paris and Rome in January. Do you have a packing list for much colder Paris weather? We have never been to Europe, so we need all the advice we can get. Hi Chelsea! I love your posts! Found you on Pinterest. I’m going to Europe in May and got overly excited with all the sales going on and went shopping. I’m not too worried because I can layer with tights, but have you every been in late May/Early June to Paris? I bought a bouclé matching set (shorts and a boxy top) and will layer with a coat and possibly tights. Am I crazy or will I be okay? Also I’m packing tons of skirts (mid lenghth) just because that’s the type of girl I am. I will probably bring lots of pants too. I noticed you didn’t say denim jeans. Do they not wear blue denim. Thank you for your insight and time! Would a large duffle, a back pack and a crossbody be ok for carry on? This was a very interesting read and truly helpful when I pack for Paris this June. I heard from aunt who lives in Germany to prevent wearing shorts and spaghetti strap shirts when visiting museums or walking around, as it’s deemed inappropriate? Is this true? I wanted to have that option because I heard it can be hot in June, but at the same time, I want to dress appropriately. PS. 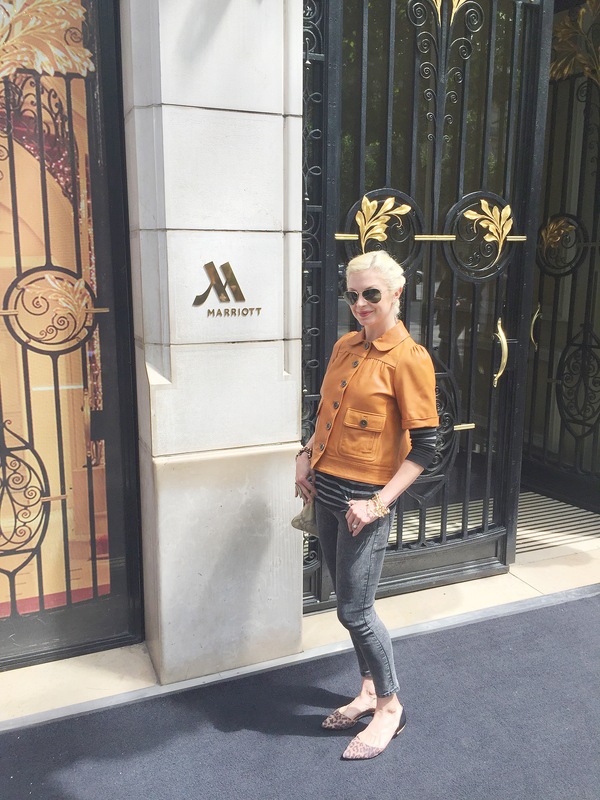 Is that the Marriott on the Champs -Elysees? Stayed there twice and loved being in the middle of everything. my friend and I plan to be in paris for a week in may. Could I get away carrying a carry on and a large tote? Thanks. Great List! I love Paris! I might add a sleep mask to the list, as Paris is a city that never sleeps and many accommodations can lack proper curtain cover!